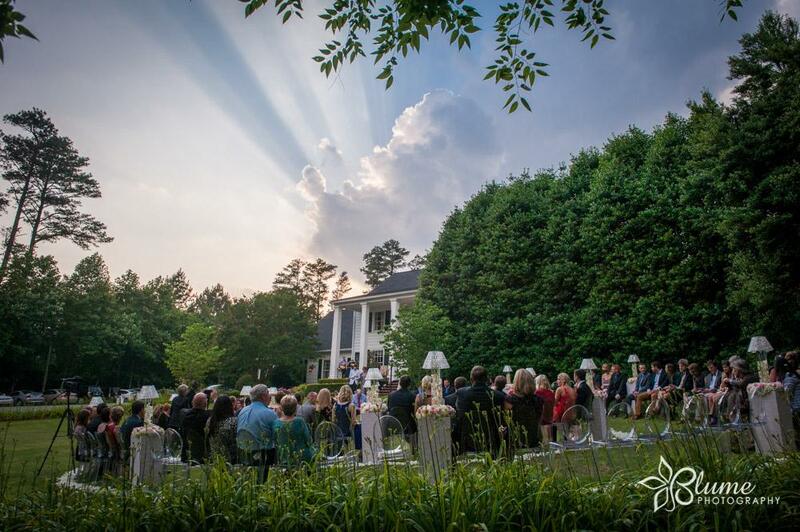 Of the numerous Atlanta garden wedding venues, Little Gardens is a hidden gem, perfect for your spring wedding. 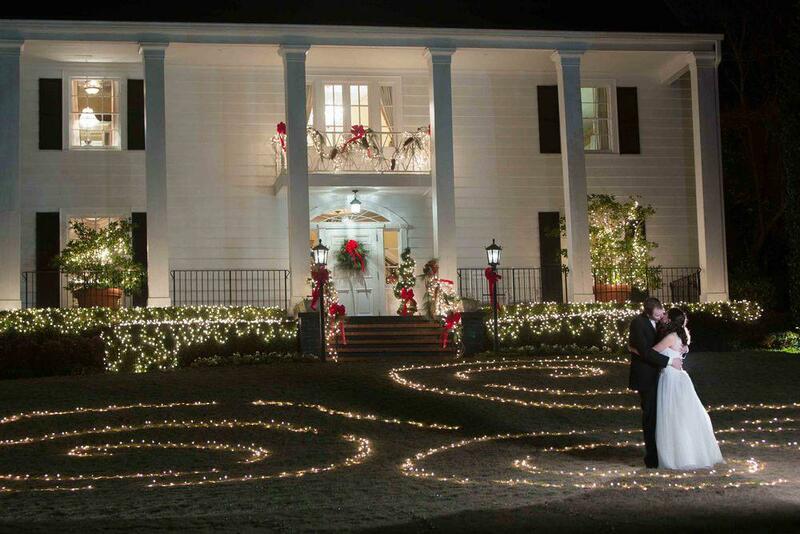 Little Gardens is a colonial-style venue nestled in the midst of a 7-acre estate in Lawrenceville, Georgia. Little Gardens offers an enchanted outdoor ceremony area enhanced with a picturesque waterfall and koi fish pond. The historic beauty of the house and the modern character embedded into the home work in tandem to create a feeling of old, Southern charm with a contemporary twist. 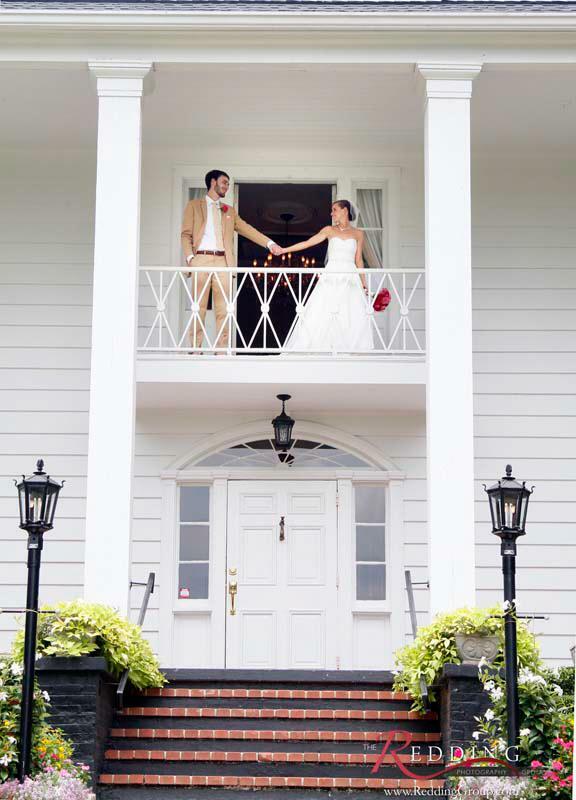 With spacious rooms and large doorways, it is apparent that this Atlanta garden wedding venue was erected in a bygone era. A wall of glass French doors in the beautifully designed ballroom open out into the secluded garden, allowing for ample space and fluidity for an indoor-outdoor reception. When looking for Atlanta garden wedding venues, it is important to note whether or not the gardens are in bloom all year long. No matter what season your special event takes place, Little Gardens is sure to be blossoming with gorgeous blooms year-round. With sounds of cascading and babbling water, the waterfall in the garden gives the space a peaceful ambiance. The waterfall pours into a beautiful Koi pond. In Japanese culture, the Koi is known as a symbol for good fortune. 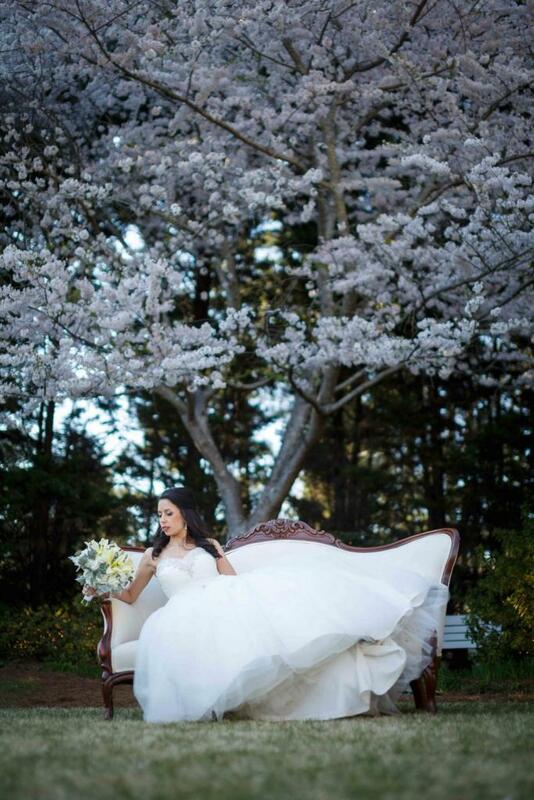 The bride who happens upon Little Gardens for their spring wedding is fortunate indeed. 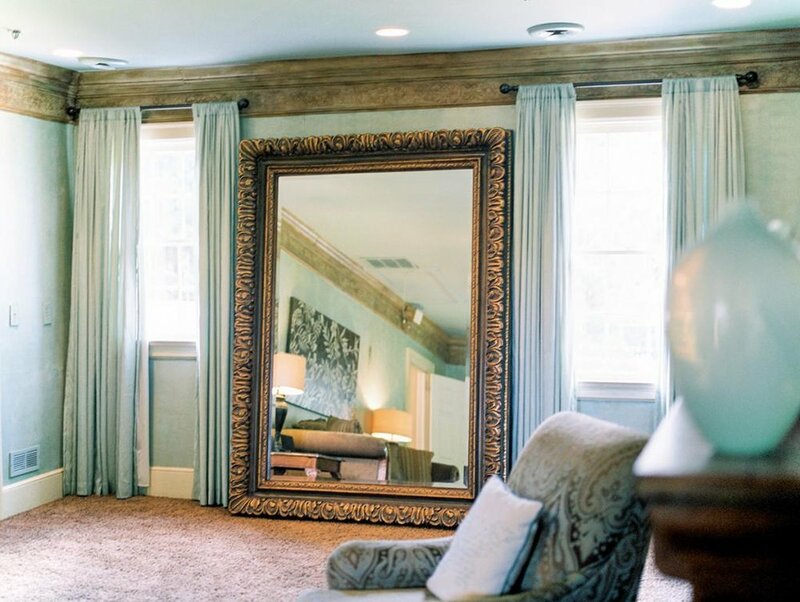 Upstairs, a large Bridal Suite with overstuffed sofas, a floor-to-ceiling mirror and fireplace welcomes the bride into a luxurious sanctuary. There is also an additional changing room and restroom as part of this spacious Bridal Suite. 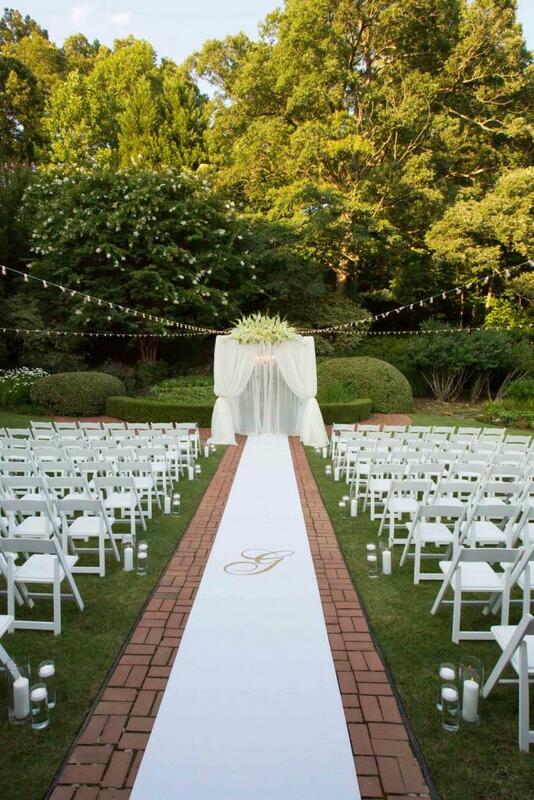 If you're searching for Atlanta garden wedding venues, look no further than Little Gardens. My husband and I had a wonderful experience at Little Gardens from start to finish. We first visited the venue in Sept 2012 and decided to sign our contract to have our wedding there Sept 2013. We didn't make a mistake at all because we knew what we were looking for, and the representatives at Little Gardens were very helpful along the way. The great part about it was the fact that our wedding was OUR wedding- the staff at Little Gardens were a vessel to help us have the best experience possible. The day of our wedding was wonderful. I couldn't have asked for a better experience.